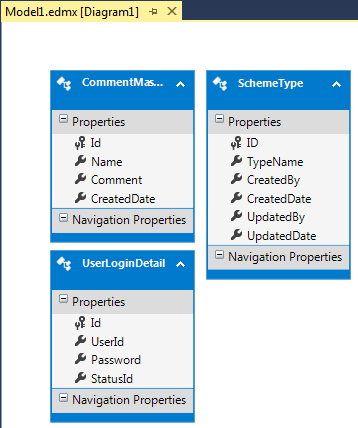 This article will show you how you can export your large or small entity framework file(.edmx) into an image file for your documentation. For this article first we will create a new entity file and add some table object. Now for converting your .edmx file into image we need to follow the below steps. 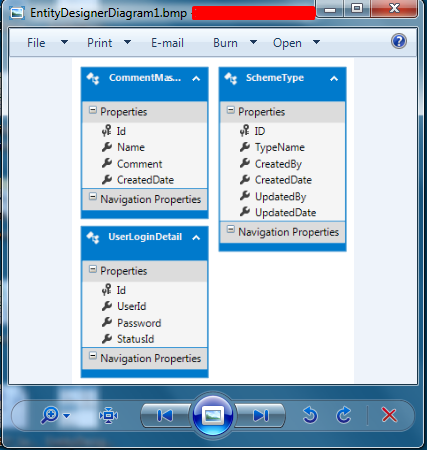 First you need to open the entity file and right click on it in empty area. Now select diagram and then export to image. After this a window will open to save the entity file(.edmx) file inot image. Enter your name and check the output.